Tecumseh Insurance Agency offers a wide variety of insurance options because we represent many trusted insurance companies. We are your local Independent Insurance Agent! 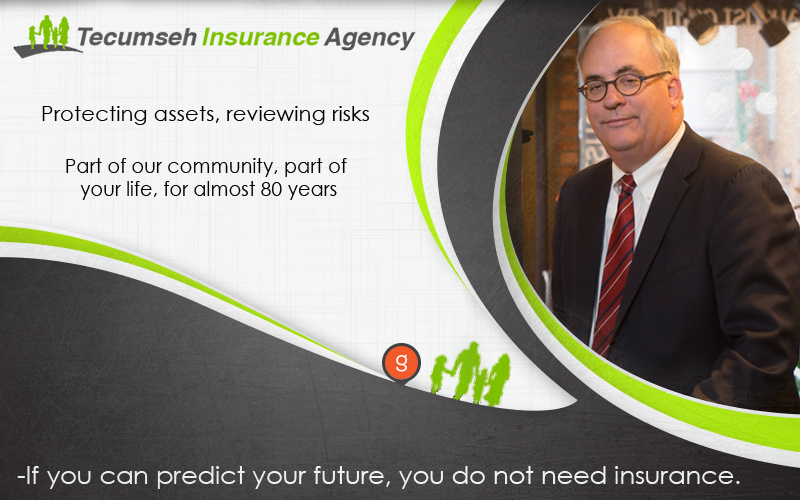 Tecumseh Insurance has maintained long standing relationships with our clients for over 50 years. We have earned their trust because of the care we provide especially in times of need. Contact us today to discuss which programs and policies are best suited for your needs. Since 1930, Tecumseh Insurance Agency has been helping business clients and personal clients determine policies that fit their needs. As a Tecumseh Insurance client, you’ll have more choices of policies that are economical and perfect to your specific needs. Call us at (517) 423-2161 to discuss with our agents which programs and policies are most appropriate for your insurance needs.